One thing that you might be doing this holiday season is going to one or two holiday parties. If this is the case, then you may be thinking about bringing the hostess a small gift when you come to visit. The only problem is 1) finding the gift and 2) putting it together in a budget friendly way (since you are already buying gifts for the Christmas season). To solve this little problem, I came up with a fun Brownie in a Mug + Recipe Magnet Hostess Gift. Specifically, today's project is part of my collaboration with Xyron since I'm a member of their design team! This means that you will be seeing a Xyron machine in action! 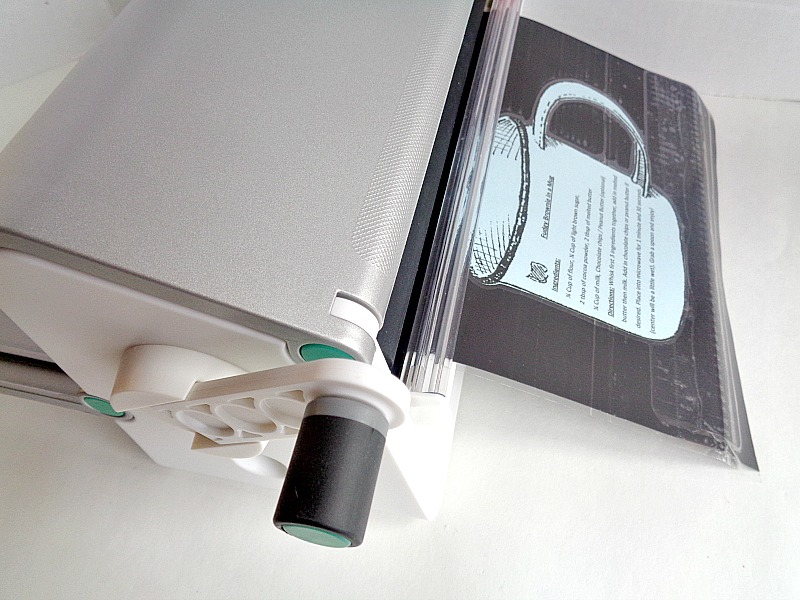 For this particular project, I will be showcasing the Xyron® 9'' Creative Station, the Xyron® 3” Sticker Maker, and be using the Laminate/Magnet cartridge. Now, I have never used the laminate/magnet cartridge from Xyron before, which is why I wanted to try it out for this project. Basically, the laminate/magnet cartridge works like the regular Xyron cartridge but instead of being turned into a sticker, your item (in this case a recipe card) gets turned into a magnet which is also laminated! 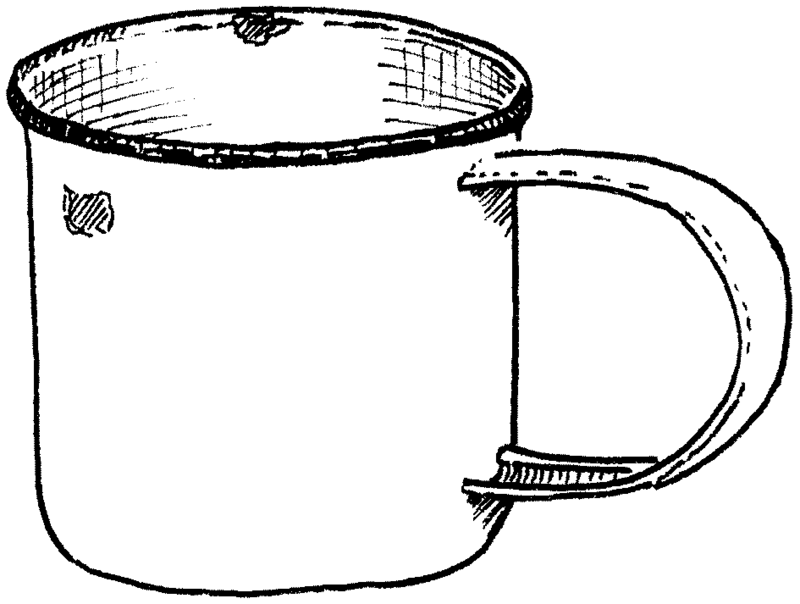 For the project itself, I decided to go with a ''mug recipe'' but you could turn this into cookies, bread, or anything that you want. The whole point is to give someone the ingredients / tools needed to make the recipe along with a magnetic recipe card. 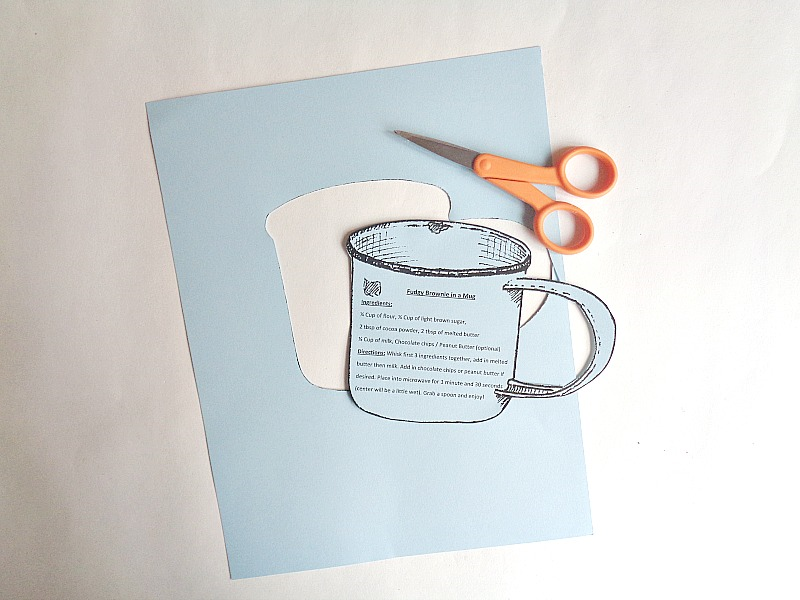 In this case, I used an illustration of a mug and uploaded it into a Word document to create my recipe card. However, you could use any form of recipe card that you like. 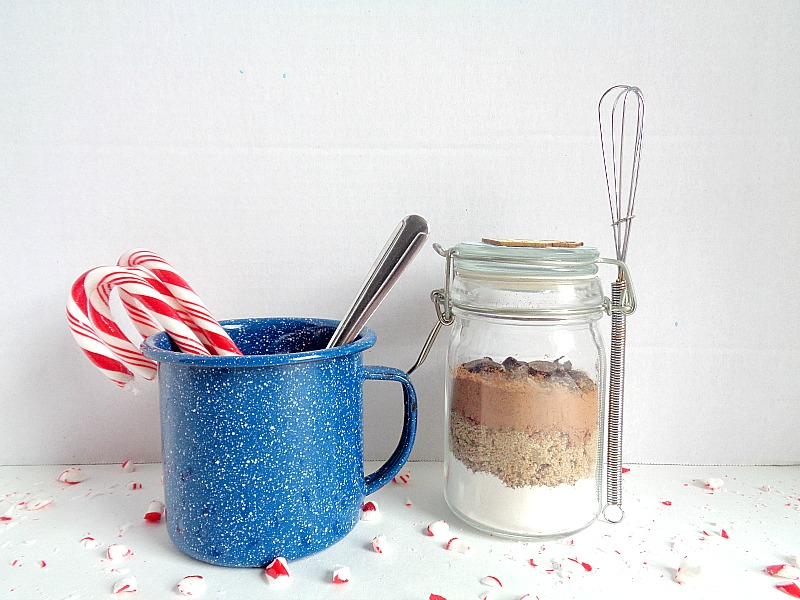 So to find out how to make your own Brownie in a Mug + Recipe Magnet Hostess Gift, keep reading below! Step 1: Cut out your recipe card. You can either use the recipe card in this DIY, write up your own, or make a copy of one your favorite recipes out of a magazine. 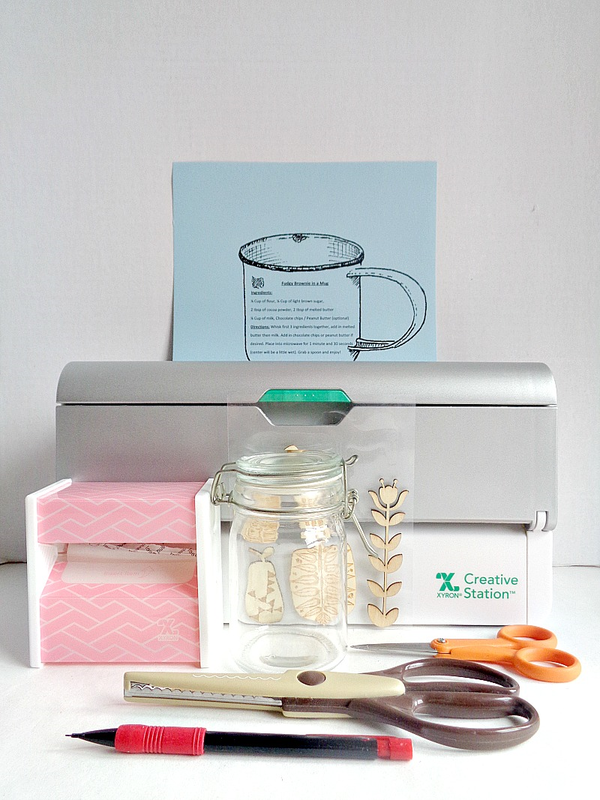 Step 2: Grab your recipe card and slide it through your Xyron 9'' Creative Station with the laminate/magnet cartridge. Step 3: Since we are creating a magnet, there is no Xyron paper to pull off the top. However, you will need to cut around your recipe card to get rid of the extra magnet. In this case, if you're using the recipe template I made, then I would suggested leave a little magnetic edge around the entire recipe card. 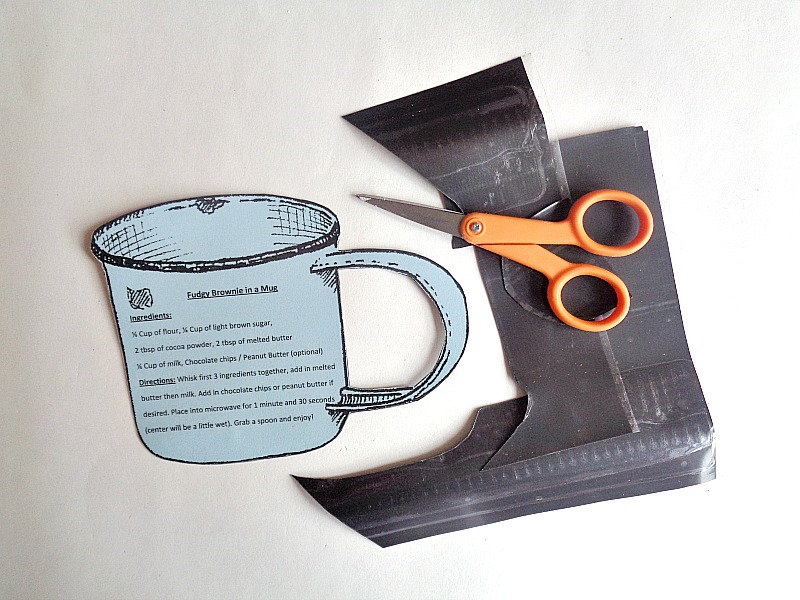 Step 4: Grab some extra scrapbooking paper or the same paper you used to print your recipe on, and cut out a circle to fit the top of your jar. I used decorative scissors to cut out my circle, but you could use regular scissors. 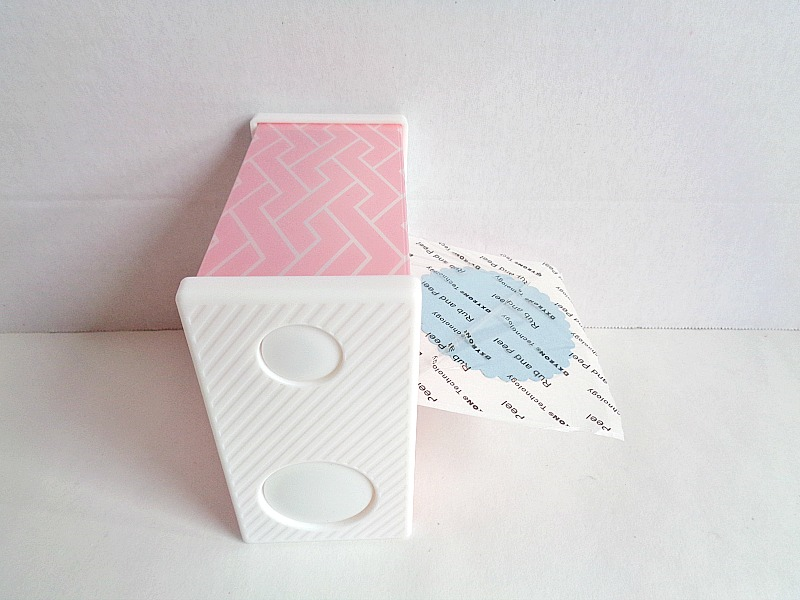 Step 5: Grab your paper circle and slide it through your Xyron 3'' Sticker Maker. 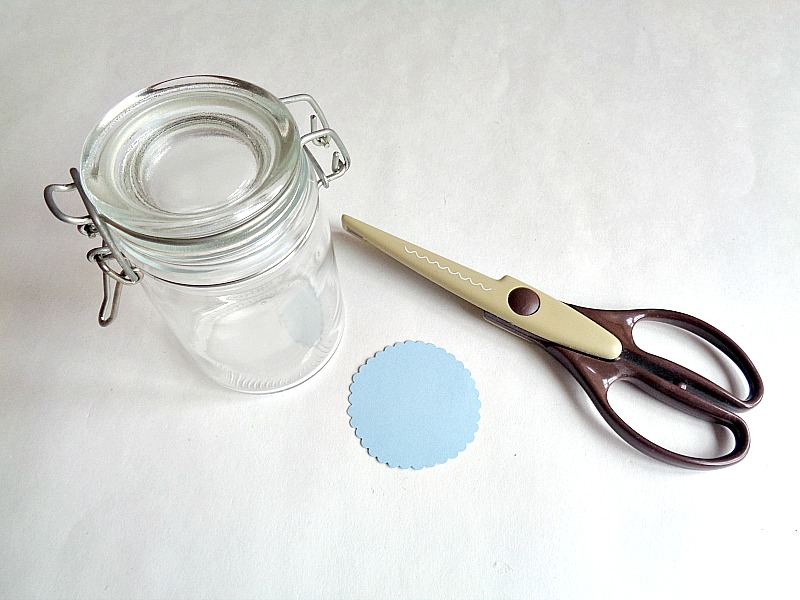 Step 6: Add your paper circle sticker to the top of your jar. Before adding it though, make sure you rub the paper circle while it's on the Xyron Sticker paper. That way, you'll be creating a really strong adhesive backing. 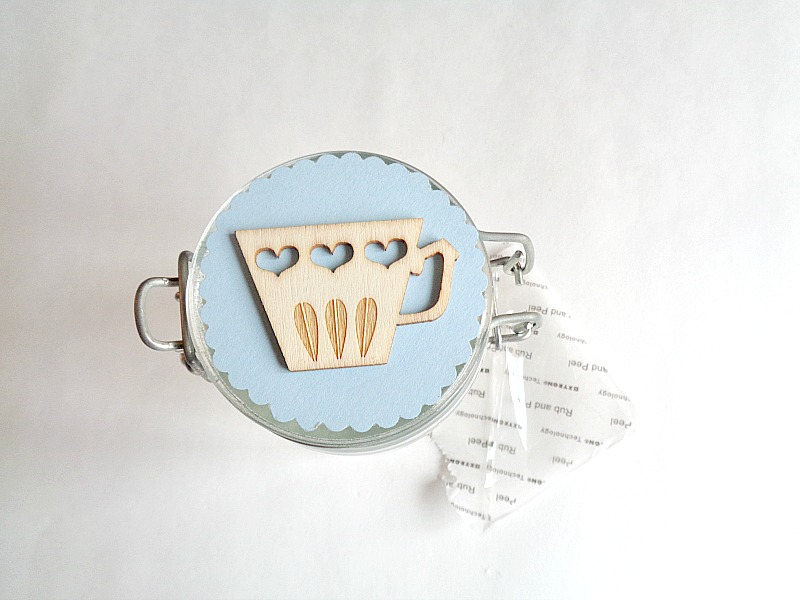 Finally, you can add a small embellishment to finish off the top of your jar. 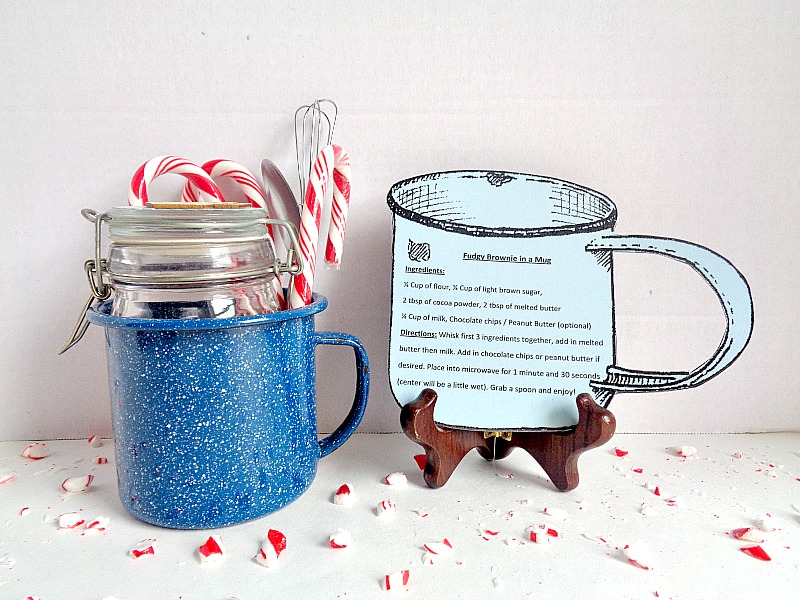 When your recipe card has been made and your jar has been decorated, you're ready to put together your hostess gift! I loved how this brownie in a mug + recipe magnet turned out! It would make a great gift for someone, even if you weren't going to a party. For my gift, I included a mug, the dry ingredients for the recipe, a small whisk, a spoon, candy canes, and the magnetic recipe card. However, like I mentioned before, you could easy use this project as inspiration when making your own ''food type hostess gift''. So what do you think? 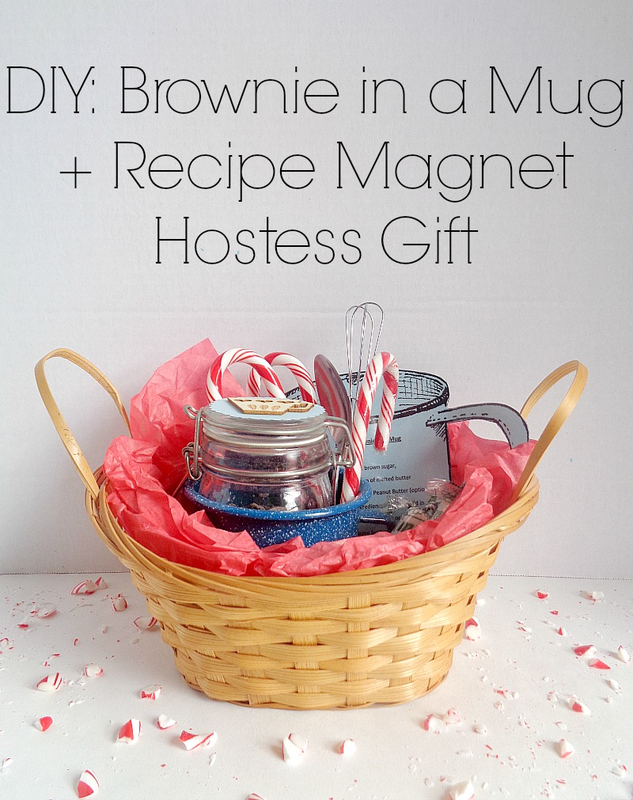 Do you like this DIY: Brownie in a Mug + Recipe Magnet Hostess Gift? 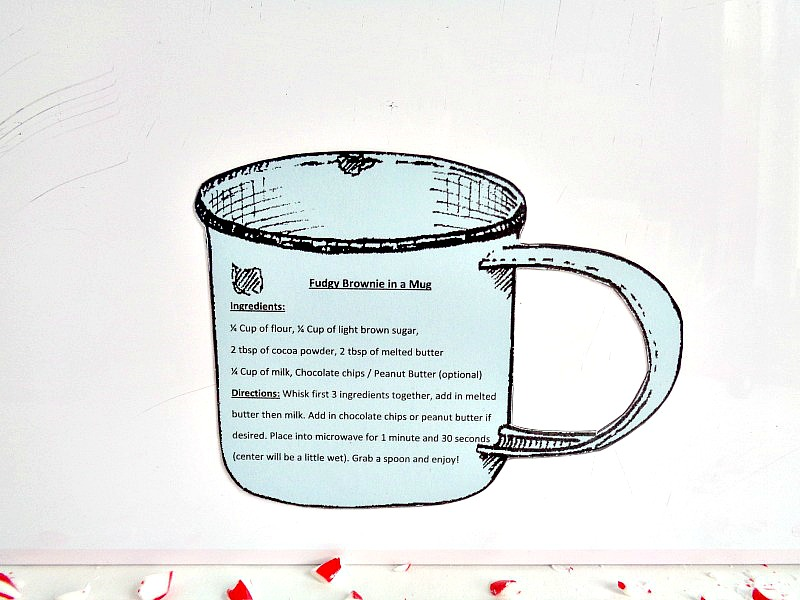 p.s On a side note this recipe for a fudgy brownie in a mug is excellent!